As Queensland’s capital city, Brisbane is a convenient place to stop over on your Queensland holiday where you can gaze at many hotspots all at once. We look at some of the best sightseeing locations to enjoy if you have limited time. 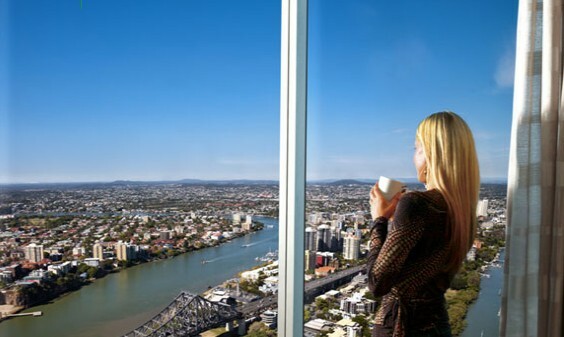 Each is located near excellent accommodation in Brisbane. Situated at South Bank, this giant 60 metre high observation wheel is like a massive ferris wheel that offers a fascinating 360 degree panoramic view of Brisbane city and its surrounding skyline in fully enclosed and air conditioned gondolas. This is easily an attraction that must not be missed by any local or tourist of all ages. Another way to soak up the exciting Brisbane sights is on a tour or cruise. Here are some of the best that you’ll want to experience over and over again. Each departs from the Transit Centre on Roma Street. Free pick up services are also available from city Brisbane hotels. ● Brisbane’s Best Tour – This full day tour from Australian Day Tours will take you on a memorable journey on both land and water. You’ll be able to relax on the cruise and soak up the city centre as you travel along the Brisbane River. You’ll see the popular Story Bridge attraction, the tranquil Kangaroo Point Cliffs and historic Newstead House. In the afternoon, you’ll visit Lone Pine Koala Sanctuary and Mt Coot-tha Lookout. ● Brisbane City Sights Morning Cruise – This half day cruise takes you past the city centre and suburbs, Eagle Street pier, exclusive Dockside area, Brisbane Creek Hotel, Customs House, Treasury Casino, art galleries and museums. ● Brisbane City Sights Afternoon Tour – This half day luxury coach tour takes you through the city, Lone Pine Koala Sanctuary where you can cuddle a koala, and Mt Coot-tha where you can see magnificent views of the city’s bays and islands and Great Dividing Range. A hot air balloon ride is a scenic way to capture Brisbane’s impressive views as you drift above the city and surrounding suburbs. You can see northern views beyond Queensland’s Glasshouse Mountains, south beyond the Gold Coast hinterland and east beyond Moreton Bay. The balloon rides are either 30 minutes or 60 minutes long and include commentary. You’ll also have plenty of time to take photos. Afterwards, you can have breakfast with the pilot and fellow travellers. If you’re feeling adventurous, then this exciting activity is definitely a must for you. Take a guided tour as you travel and climb on top of the iconic Story Bridge. Each climb takes two-and-a-half hours and departs at Kangaroo Point. You’ll feel the greatest incline towards the Summit Top Platform before reaching the top at the central platform, which is high above six lanes of traffic and approximately 80 metres above sea level! 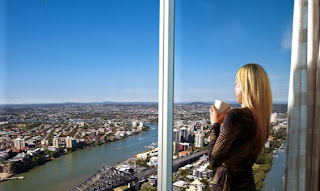 You’ll feel on top of the world as you enjoy breathtaking 360 degree views of the city including the Glass House Mountains, Mt Coot-tha, Lamington National Park, Brisbane River and Moreton Bay.